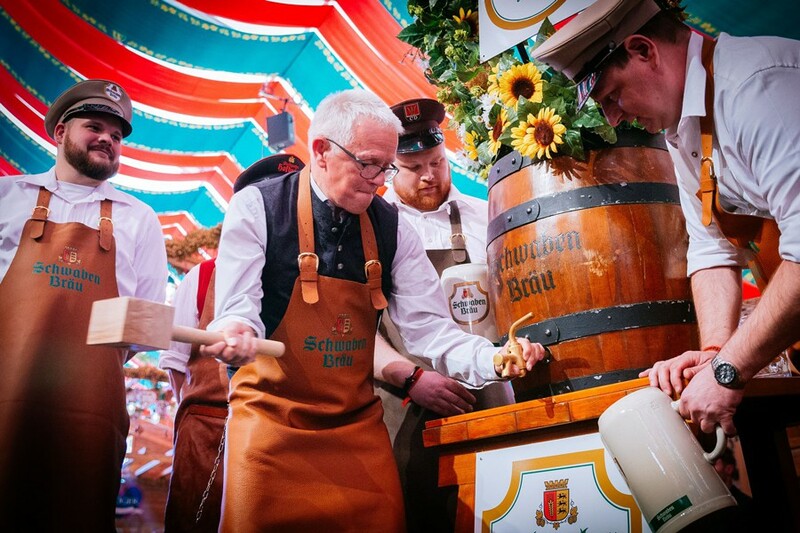 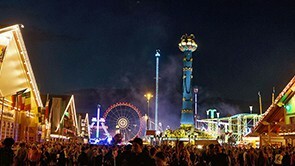 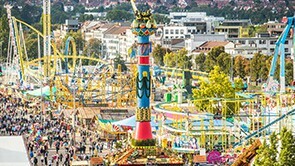 The Stuttgart Beer Festival, which originated in 1818 as a harvest thanksgiving celebration, has become one of the world’s largest public festivals with a host of fairground rides and frequent new attractions centred round its emblem, a 26 metre high column of fruit. 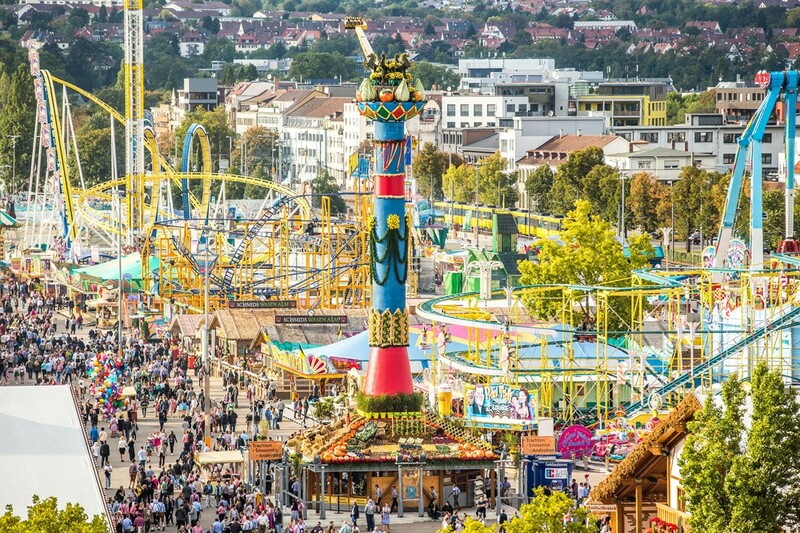 The white water flume, the Ferris wheel and the colourful market stalls delight millions of visitors 17 days long every autumn. 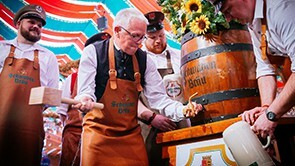 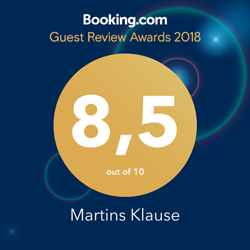 In the huge marquees of the Stuttgart breweries, each of which seats up to 5000 guests, in the beer tents of the regional brewers and the beer gardens, the beer flows more or less unceasingly, and there is plenty of food available as well. 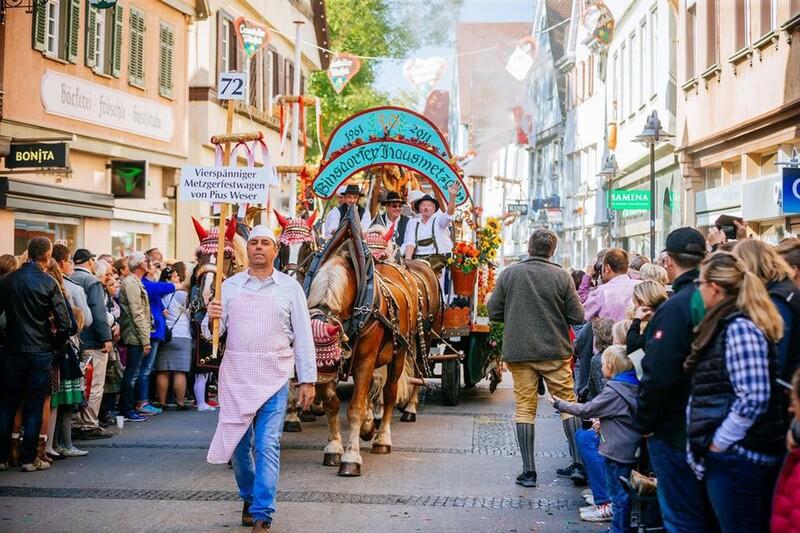 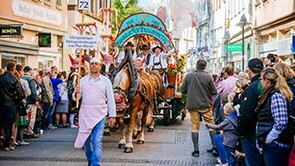 Each year the festival opens with a grand procession with magnificently decorated brewery drays drawn by four or six horses, and with groups from all over the region dressed in traditional costumes.